Three sisters marry very different men and the choices they make determine whether they will flourish, be tamed or be repressed. Lucy's husband is her beloved companion; Vera's husband bores her and she turns elsewhere; and Charlotte's husband is a bully who turns a high-spirited naive young girl into a deeply unhappy woman. "....they were sisters and loved each other, no matter how deeply the circumstances of their lives seemed to divide them." 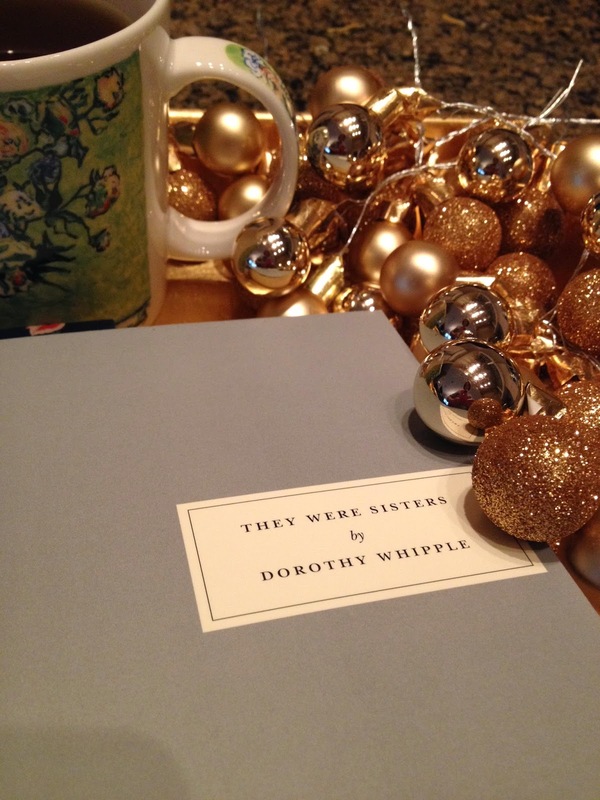 Dorothy Whipple's books are a joy to read and I couldn't have been happier when the most recent Classics Club spin dealt me They Were Sisters. With her distinctly gentle style and keen eye for family relationships, this novel made for perfect December reading. In They Were Sisters, Whipple focuses on the special bond between sisters and how it can be affected by life circumstances. Specifically, the changing boundaries imposed by marriage. She even presents us with 1940's-style domestic abuse. Poignant, maddening, and thoroughly enjoyable, They Were Sisters reminds me why Dorothy Whipple is a favorite Persephone author. Although I generally prefer reading on my kindle these days, the special qualities of a Persephone edition - elegant dovegrey cover, colorful endpapers, and matching bookmark - made this book even more of a holiday treat. Oh, yes, the delights of books, and the Persephone edition sounds so lovely! Most of my print books these days are ARCs...although there are the occasional new books from B & N. But there is nothing like a book that says "classic." This book sounds like something I would love to read. I love stories of siblings and finding out what happens to them. I would love to read it but will have to wait as I am in the beginning of a TBR challenge and have to read my own books, not others ! Pam - I'm doing James' TBR Dare for January (and possibly longer). Hope you can read Whipple after your challenge. Kathy - It's a wonderful book! Glad that you enjoyed this one. I have several of those Persephone beauties on my shelf unread. Diane - I've never come across a Persephone I didn't like, but Dorothy Whipple is extra special. I will definitely be adding this to my reading list after the TBR dare is over. I agree that there is something to be said about a beautifully bound book. Beth F - Persephone Editions are my favorite! Not only have I never read this book but I'm not sure I've heard of the author. It sounds like a lovely read and I'm adding it to my TBR. Your edition looks beautiful. I do most of my reading on my Kindle as well but I'm still a sucker for a pretty book! Katherine - I never heard of this author (or Persephone Books) until I started blogging. They are beautiful books and always remind me of my visit to the store in London. When you read the classics, they always sound so good. But I often forget about them for the bright, new shiny books that come out each month. I should force myself to read classics for an entire year, just to catch up. Oh bless you for once again introducing me to a classic I didn't even know existed!